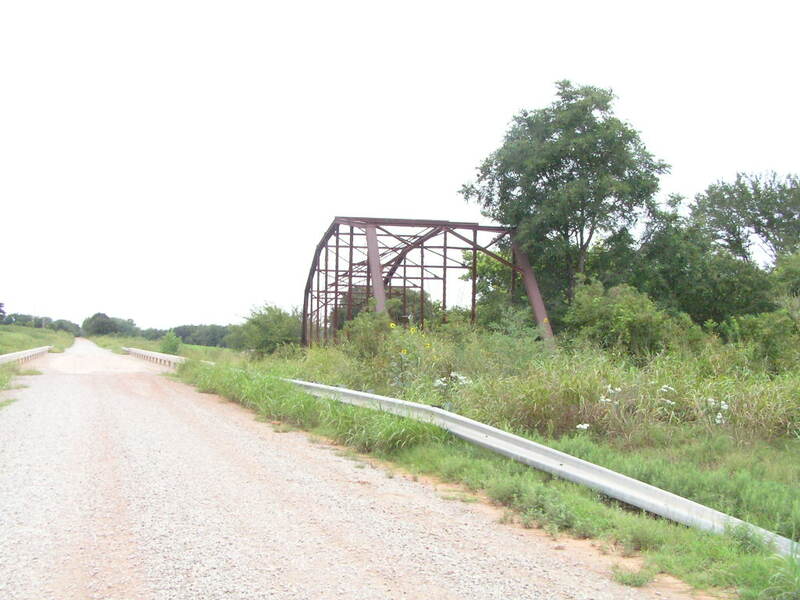 Bear Creek Bridge, Logan County. 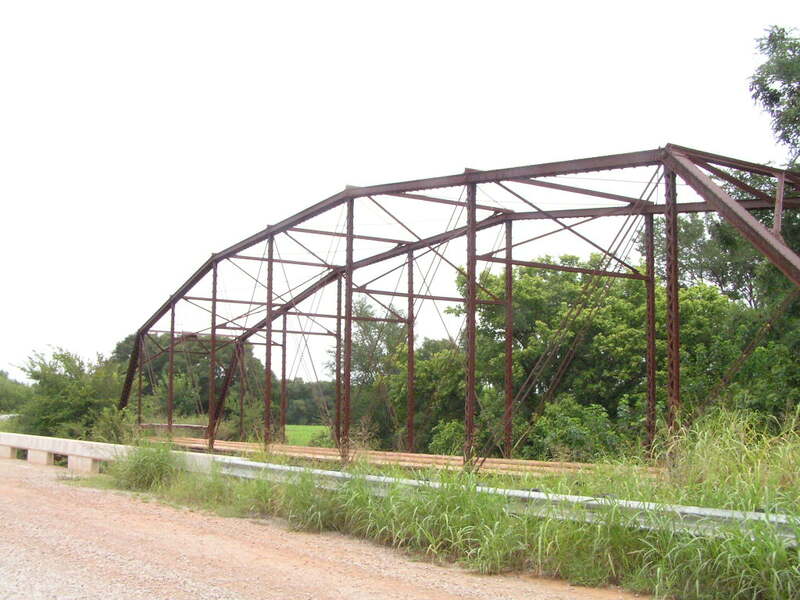 This rather impressive through camelback span used to have a twin further west in Logan County, but this other span was removed. Now standing bypassed, this span was at least left in place. The span is 150-feet in length, and date of construction is given as 1920. 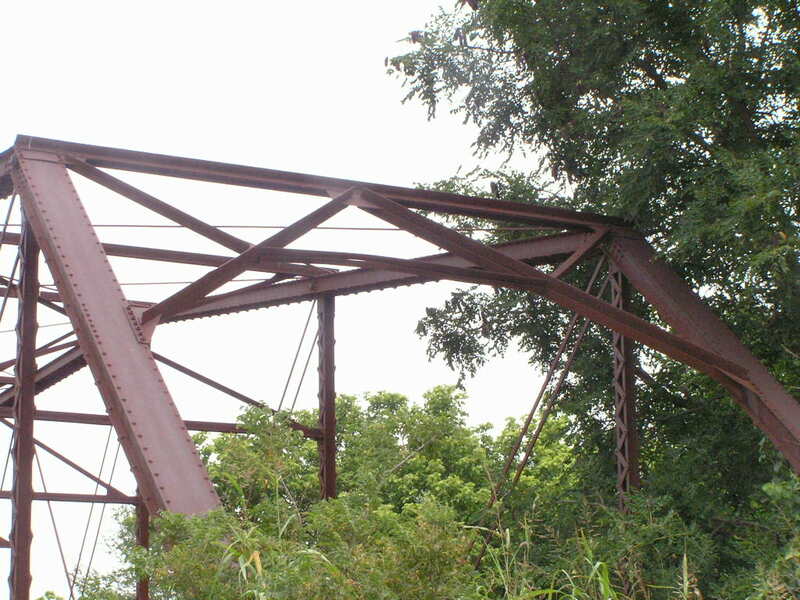 However, the bridge stands on steel piles, and may have been, along with its former twin, part of a much larger bridge at another location. Above, view of the bridge as viewed from the road, showing it alongside its drab, modern replacement. Below, a side view taken from the road. You can see the 5 slopes of the top chords & inclined endposts that make this a camelback type. 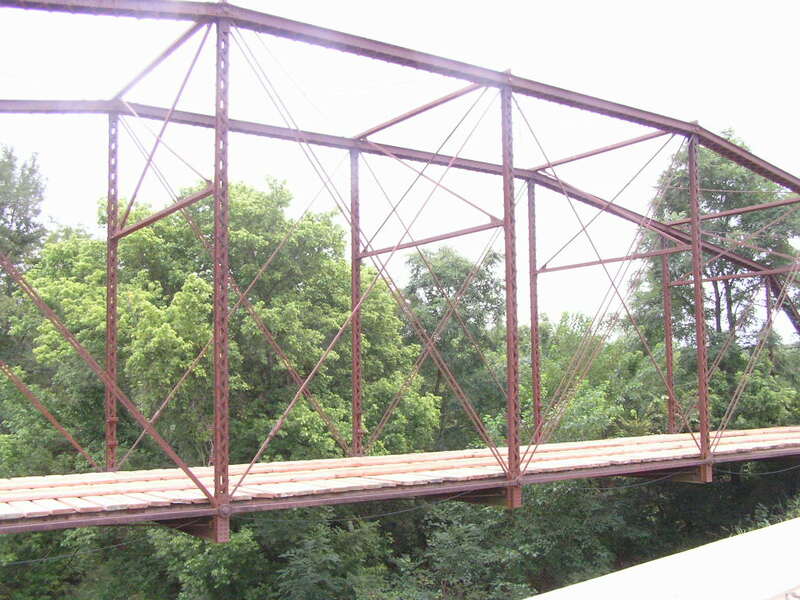 Above, side view of middle portion of bridge. These early pin-connected wagon bridges have a very light appearance to them, though most were designed for 10 or 15 ton loads. In many cases, age (and poor maintenance) had diminished this capacity considerably. Below, a view looking through the bridge from the deck. Below, close-up photograph of the a-frame portal frame. 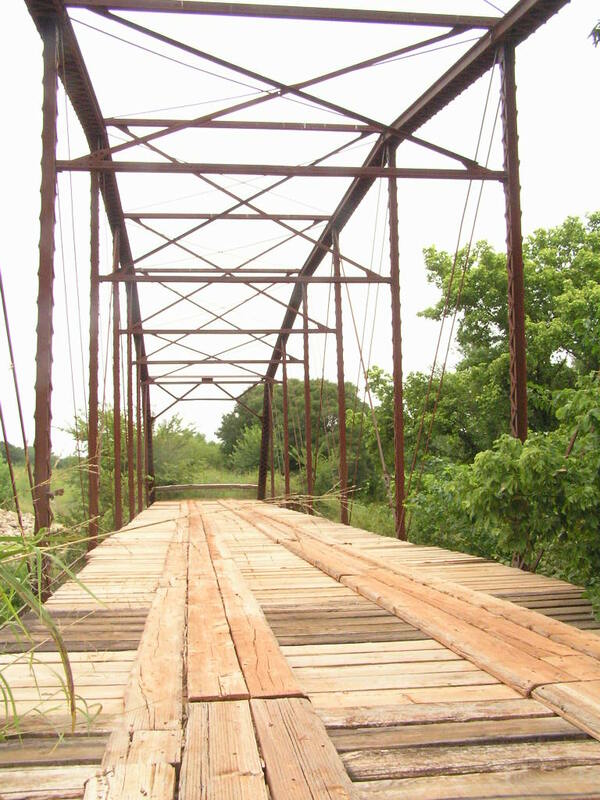 This bridge was probably originally built circa 1910 as part of a multiple span truss over one of Oklahoma's many broad rivers.